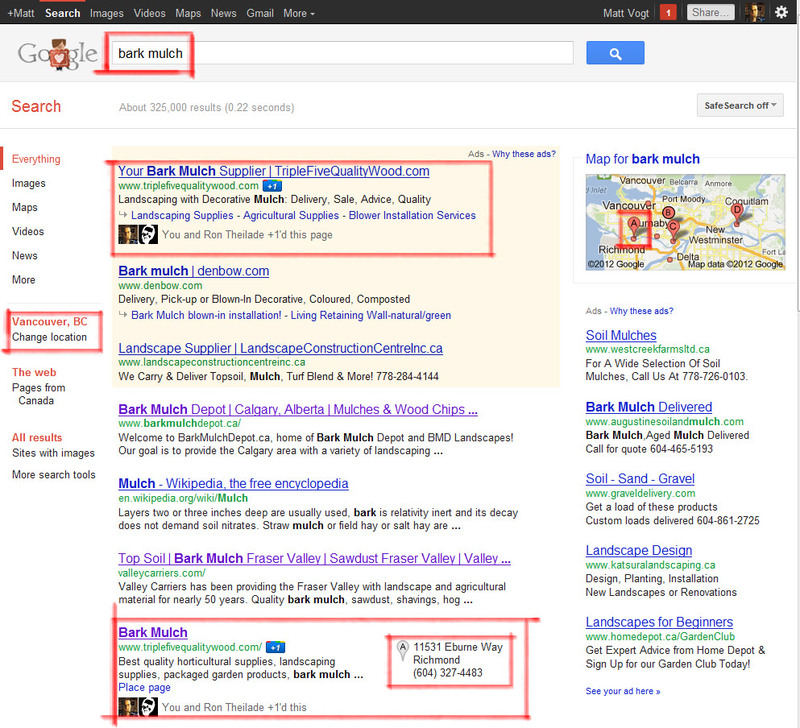 You're located in Vancouver, or the Lower Mainland, and google: 'bark mulch', our efforts with Triple Five Quality Wood shows results! They have multiple locations, all of which are pins on Google Maps AND we're #A on the map! 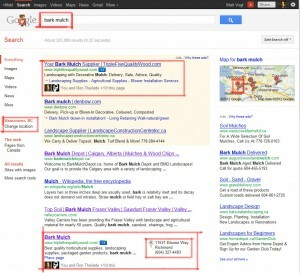 Yes there's competition on the organic listings above, we'll have to see if google places moves up with us! We did not find results for: Roy Kiyoshi. that's both equally educative and amusing, and let me tell you, you have hit the nail on the head.